Time to go back home! After hosting two nights at Mostovna in january and february, Reload is coming back at Marco Polo and we are ready to throw another impressive night! 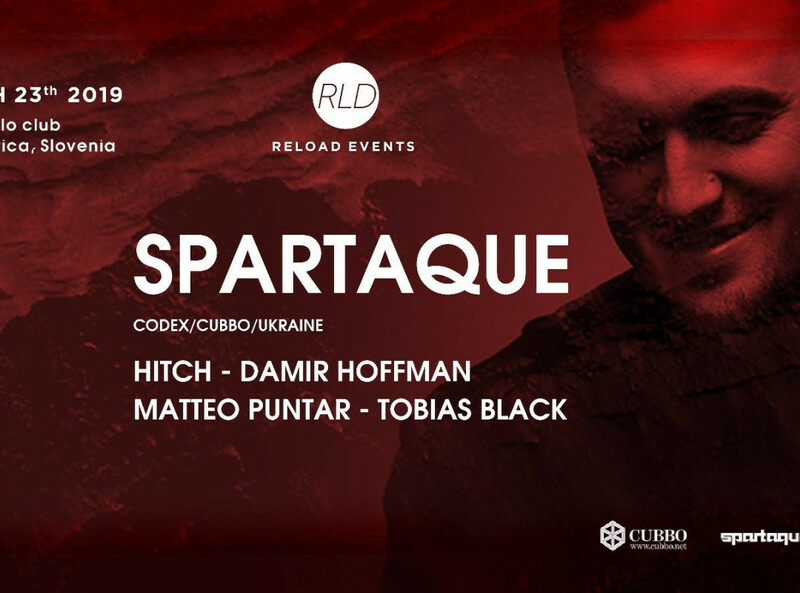 This time we invited one of the most active techno producers coming from Ucraine and his name is Spartaque! Spartaque started out in his teenage years composing and producing dance music, finally realizing as a young adult the lucrative skill of DJing his works. His first piece to release was on a Virus Music album in 2005. A decade later, he now has over 300 released tracks on more than # labels. His arsenal includes both original works and remixes for some of the top artists around the world.